On August 19th Twitter was in an uproar over yet another fashion faux pas occurring at the expense of the minority race. 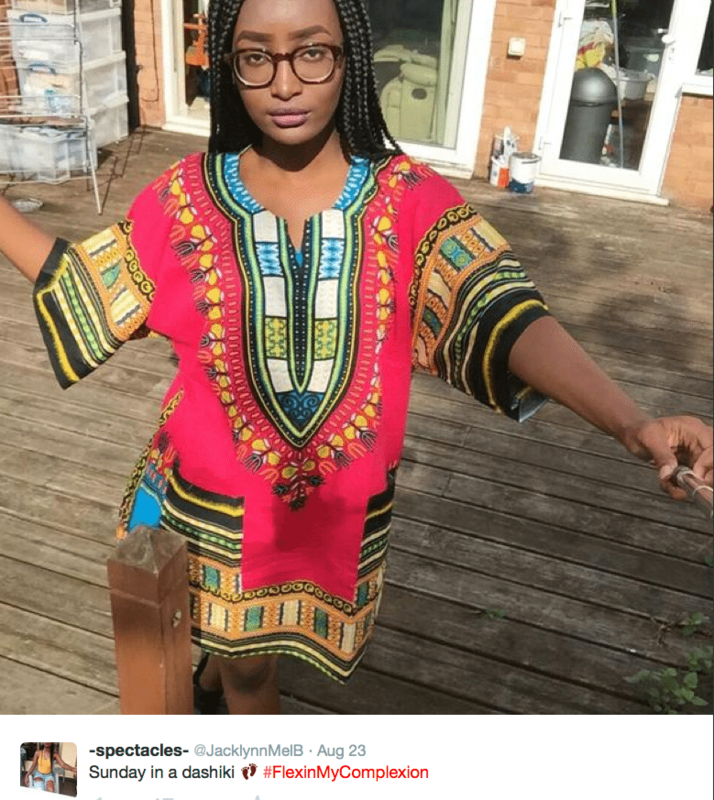 This time it wasn’t about natural hair being braided back or picked out and deemed the new it ‘do, instead another culturally significant garment—the dashiki—was forced into the limelight as our white counterparts once again displayed signs of ethnic illiteracy. For many, the problem wasn’t so much about their obvious admiration of the West African garment with its bold pattern and vibrant colors, it was the fact that they appropriated the African culture, and staked their claims over something that wasn’t originated for them or by them. When Elle Canada claimed that the dashiki was "the newest it-item of note" after a very blonde, very non-West African Sarah Jessica Parker rocked the red and white Royal Kulture piece, well, let’s just say it didn’t go well with anyone of African-descent. 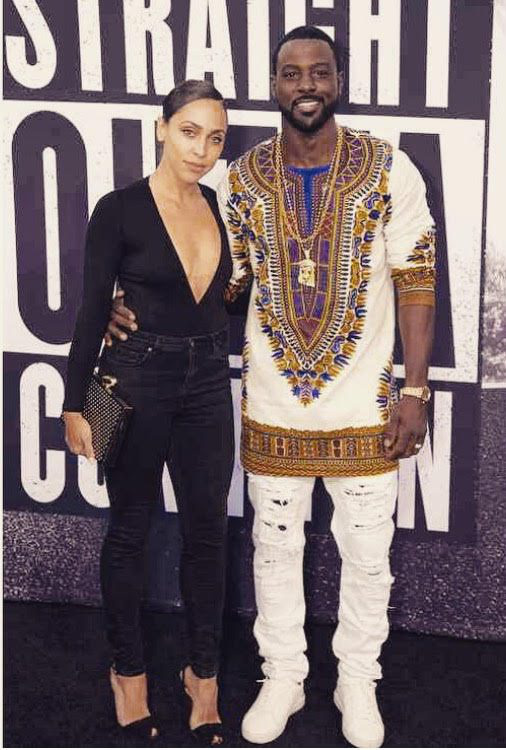 There’s no denying that the dashiki has indeed become, dare I say it, a trend in America—not because the decades-old tunic is new, but because it’s become more prevalent over the last year or two as celebrities such as Beyoncé, Rihanna, Chris Brown, Amandla Stenberg, and Jhene Aiko have appeared in the media wearing multi-colored versions of the dashiki. 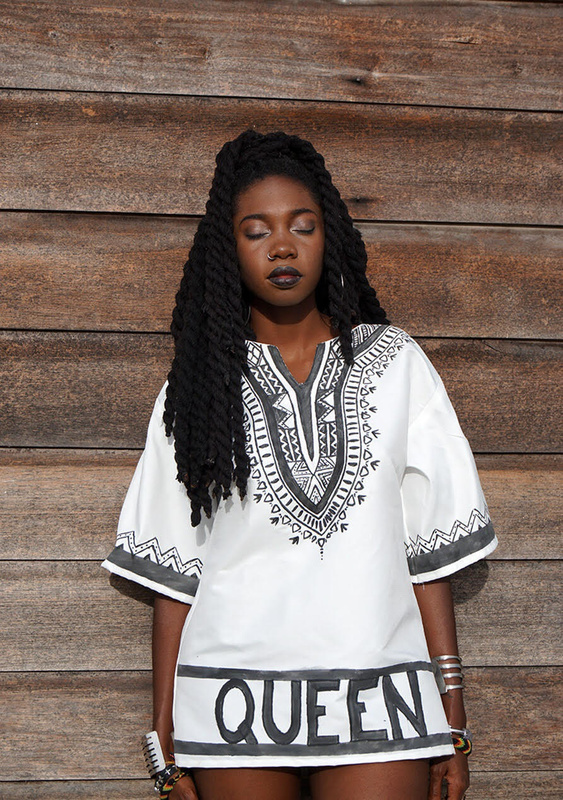 As we see more fashion brands and websites offering dashikis begin to emerge, we at xoNecole not only became interested in the discussion of cultural appropriation, but also where the fashionable jersey design originated to begin with. 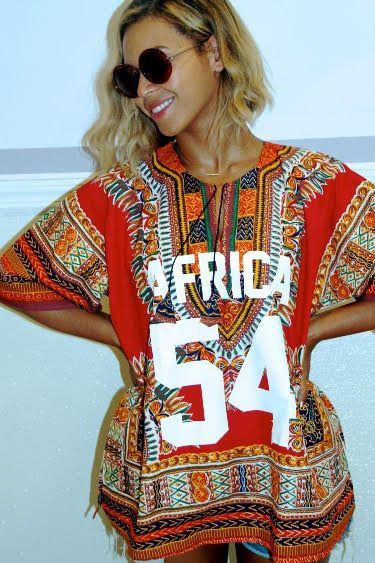 The bold “AFRICA 54” inscribed across Queen Bey’s chest led us back to designer Ron Bass, whose West-African inspired dashiki line was released in Forever 21 stores nationwide last year. 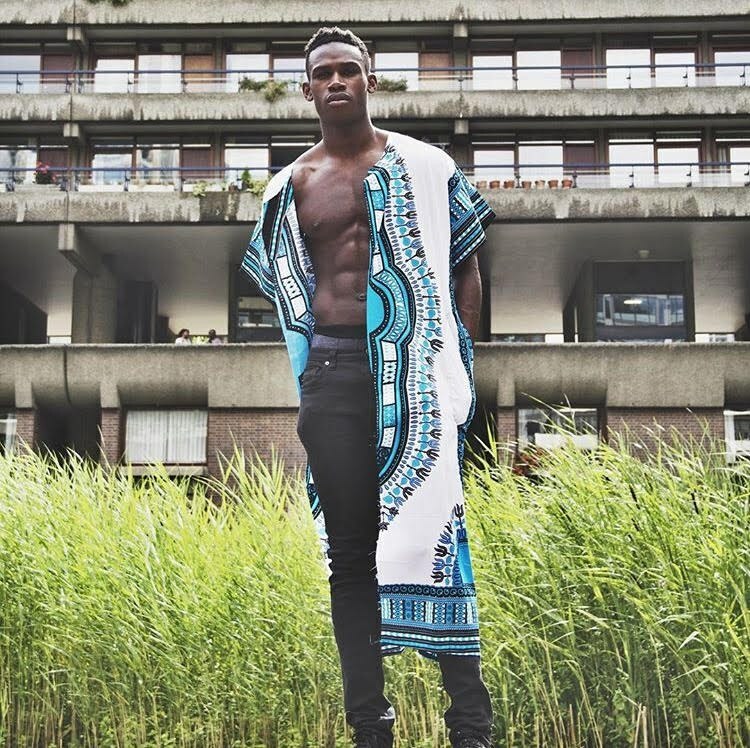 We spoke with him about the inspiration behind his popular dashiki fashion pieces, how he landed a deal with a major retailer, and what the mass production of the West African garments really means for our culture. 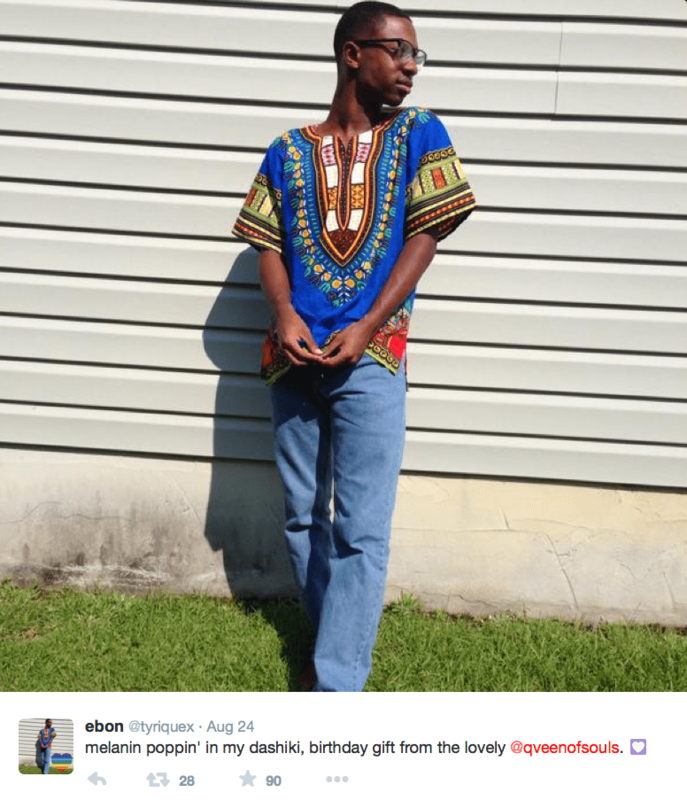 How did the collaboration with Forever 21 come about, and why you decided to use dashiki-imprinted clothing for that line. 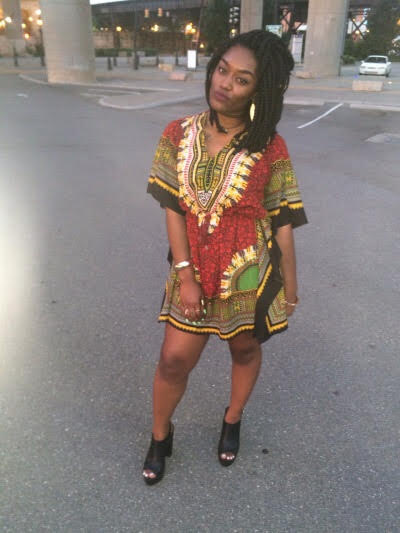 For me, prior to the Forever 21 collaboration, I created a dashiki-inspired jersey while I was still doing things independently, I wanted to basically create a piece that was for my culture. Michael Jordan has a jersey that we wear to represent our loyalty of the sport as fan. I was like ,what about our everyday people who go above and beyond that? What do we wear to honor them? You know I wanted to create a jersey for the individuals whether they are leaders of the world, everyday mom and dads who sacrifice their own lives, or transcending cultural differences for their kids to have a life. I thought about Africa, so my first take on it was to put in the word Africa across the chest, which would represent like a team, and the teams’ name. And 54 was represented the amount of countries in Africa. Some people say it’s 56 countries or whatever, but 54 represents the continent in it’s entirety. Some like Beyoncé would wear [his first creation] and June Ambrose, and that was on my own independently before I signed the clothing deal, and it kind of got popular because of those figures wearing it. So when Forever 21 asked me a few years later, it was at an art show at Posh Bar & Lounge, one of the CEO’s friends was there and they were like you should check this artist out and that’s kind of how it all started. And then they did their research and saw the dashiki and they were like this is amazing, how can we partner with you to do a line, and I was like I’ll just incorporate it into the capsule. 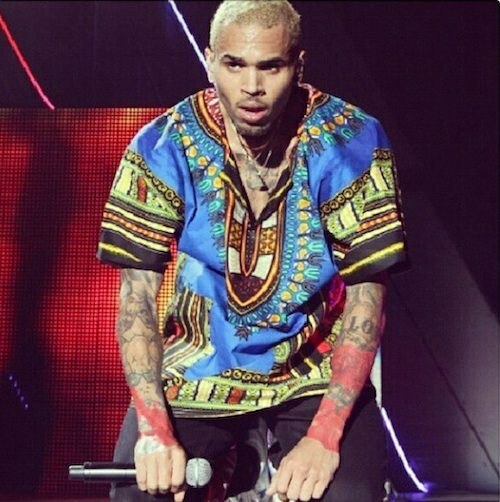 I didn’t want some people not to get the dashiki because it had Africa written on it. When I first initially did it in my mind it was for our people for us, and then the next time it was more so to let the print speak for itself and get anybody and everybody wearing the print that our culture was known for, so it was the reason why I wanted some of us, and when I say us I mean our culture, to be a apart of that capsule. And that’s why I did it because it was going to be on such a large scale, that’s why I chose to add that into the capsule with Forever 21. So when did the line for Forever 21 come out? Last December actually, and it did very well. November was when we announced it, and it went on sale in December right before the holiday. And what they did was it was a rollout. They did multiple artists—I was the first artists and the first African-American male that they ever did the collaboration with. 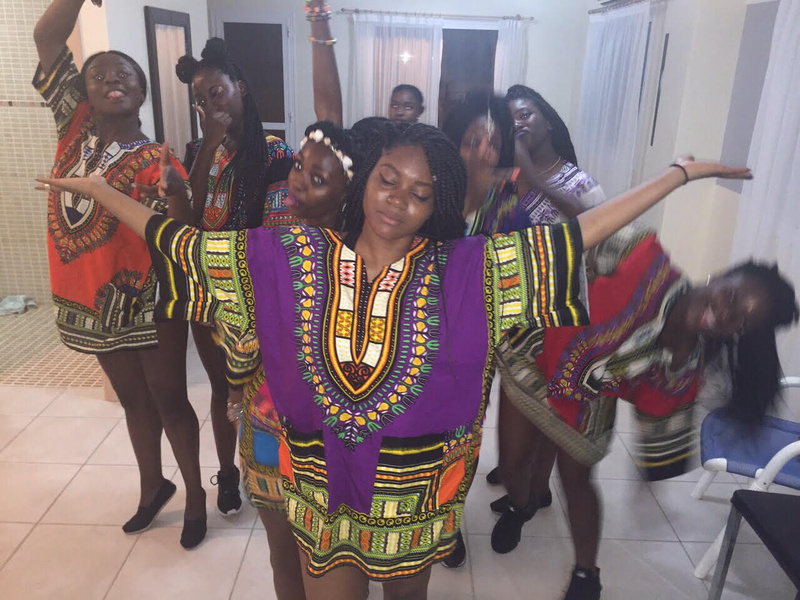 And do you feel like that pushed the dashiki movement to the next level? I think it had a part. I would like to say just off of my own vision that I brought out, and months after I did the one that Beyoncé wore and Rihanna wore at the time, I believe that when it came to screen printing and making them more fashionable for our culture, if I wasn’t the reason my idea was 90% part of it. The word cultural appropriation has been a topic of discussion a lot lately. 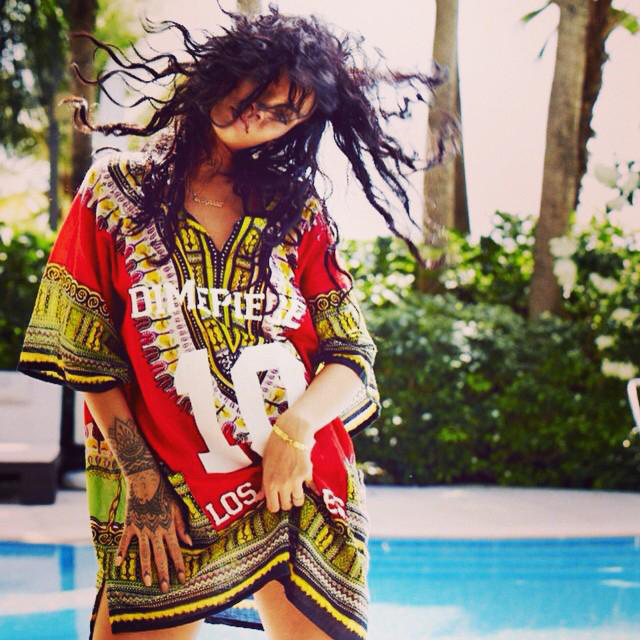 What do you think about those who may get offended because the dashiki print is being commercialized? I think that it’s a double standard to me because while we pick and fight, and we have every right to in other areas of wanting to be accepted and understood and different things, even though people sometimes take our things and just blow it out of proportion and they take ownership, this is some of the steps that I think we need to be more open to as a culture because I even get henna and that’s not our culture, but I like it. And I don’t do it in a disrespectful way. I don’t take ownership to it. I feel like our culture sometimes, and almost rightfully so, we just have this guard up that hey this is ours you can’t have it. But then it’s almost like how do you expect us to have this fight where we want people to understand our culture and appreciate it and be apart of it as well? Some things are going to happen. Some people are going to move into our neighborhood and live the way we live and eat the food that we eat so they can further understand. Are they wrong for trying to take ownership and make it seem like they made it? Yes they are. And that’s the next step—ok now that you understand the garment and you understand the print and you learned a little bit more, now let me explain to you further more why you can’t say this is not a trend, this is a culture. So baby steps. There are a lot of things that were founded and created on our backs. Some of the places that we travel and a lot of things that we do were created by us. So maybe we’ll start getting credit with things in fashion and in technological things, you know what I mean? We don’t have all of the answers, but it could be a start. Definitely. It did make us look a little deeper into it, like where did it originate and how did it begin gaining popularity in the States? It made us learn more about the culture. So like you said it’s shining more of a light on it versus, 'I’m stealing it from you and this is ours.' That's where maybe they felt ELLE went wrong; they didn’t educate their readers on where the pattern originated and that it's not exactly 'new' per say. But this was very informative. It was definitely a pleasant surprise to see your name attached to it. Thank you I really appreciate it, but like I said before I never did it to come back to me. My main goal in life is to inspire and take a gift, I know it sounds cliché, but I really think it’s my purpose to take the gifts that I was given and to watch those share and to uplift and inform, because so many people have done that for me, so even when I see so many people just putting numbers on dashikis I don’t look at it like oh you’re copying. 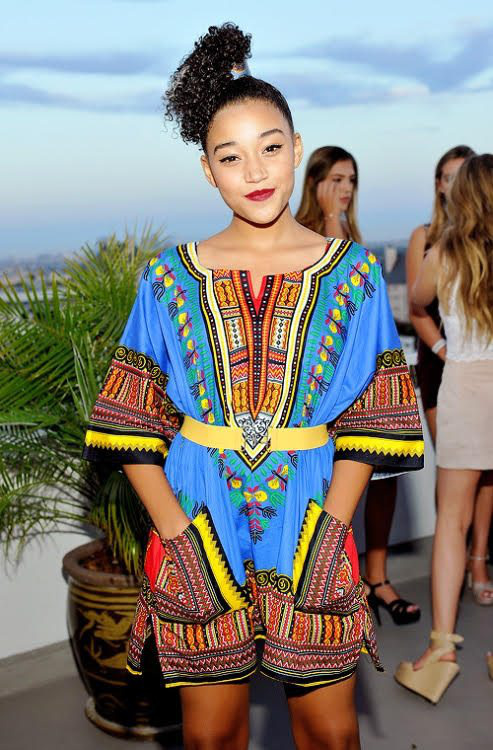 One of the great reasons why Forever 21 wanted this collaboration because they kept talking about the dashiki. They kept bringing it up and it was like wow. They see my art and at first I was like no I’m not going to put my dashiki in Forever 21, and then I was like that’s exactly why I want to do this, because there’s teenage girls who don’t really know about different cultures; I think it would be great. I’ve never seen nothing like that. And ever since then they’ve been streaming African print in their collection. Things that I’d even wear. So yes, they think that it’s a trend, but I think that’s cool. It’s amazing. It should be offered. There are so many other American patriotic trends, so why can’t our culture be apart of that? So did you make the Royal one, too, or is that someone else? No I didn’t make the Royal one but the two gentlemen that started it they reached out to me and was like hey do you mind if we do this, because we put a picture out and everybody keeps saying that you’re copying Ron Bass. Prior to that I did the male version, which was a basic dashiki. The one that Beyoncé wore the print was a little different, and I don’t know the name per se of that particular style but the one that Beyoncé wore the print was a little different because when I got the fabric was a different print. The one that I did for men was your basic original dashiki that everyone kind of knows but the same Africa 54 is what I screen-printed on them. That was now something three or four years ago. 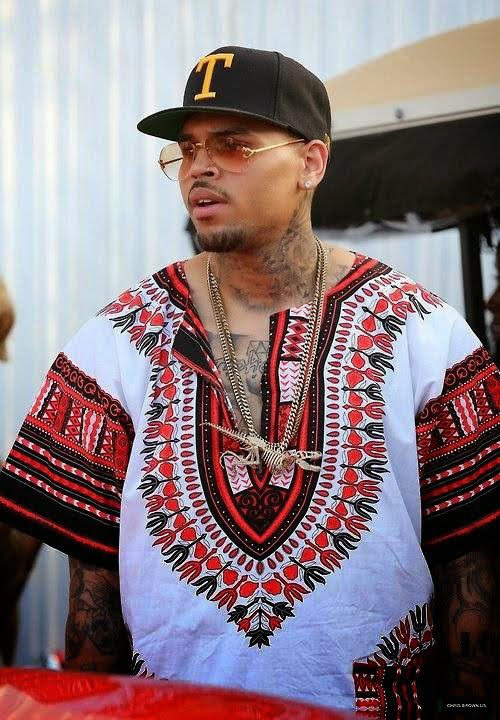 And like I said, now that I see people screen-printing dashiki I think it’s great. Even doing it for Forever 21 made it even bigger, because no one ever really did it. So you made these a few years ago and Bey and June wore it this year? No, Beyoncé wore it back when I first made it three or four years ago. I even posted it way back when it happened it was like three years ago when she did that. I came to her when I made it, but she didn’t actually post a photo of her wearing it until like eight months later. So it had already sold out and I had already decided not to make anymore. It did really well because June Ambrose, she wore it right away, so people would buy it based off of her. And then Beyoncé wore it. I still to this day get emails like when are you going to make it. It’s not about the money I just want to put the word out and I think the word has traveled and that was my main purpose. If I can tie some type of charitable [benefit] with it, then I will. But that was so long ago, and the Forever 21 thing was more recent. So this was the first time that I did a women’s collection so Forever 21 was men’s and women’s. That was the first time that women could wear my art on a fashion scale. So it worked so it was good. What about the ones that Chris Brown wore? Like I see everyone wearing them. I’m not sure where he got them. But the ones I personally did are the ones with Africa 54 on it or Bass 84. Which is the year I was born. And it inspired a lot of recreations? I’ll let you say it (laughs). 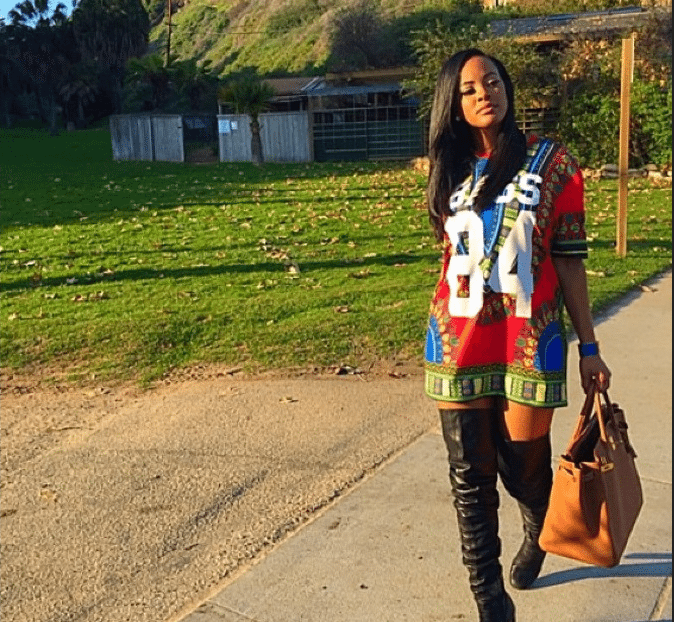 Celebrities aren’t the only ones embracing the West-African style. 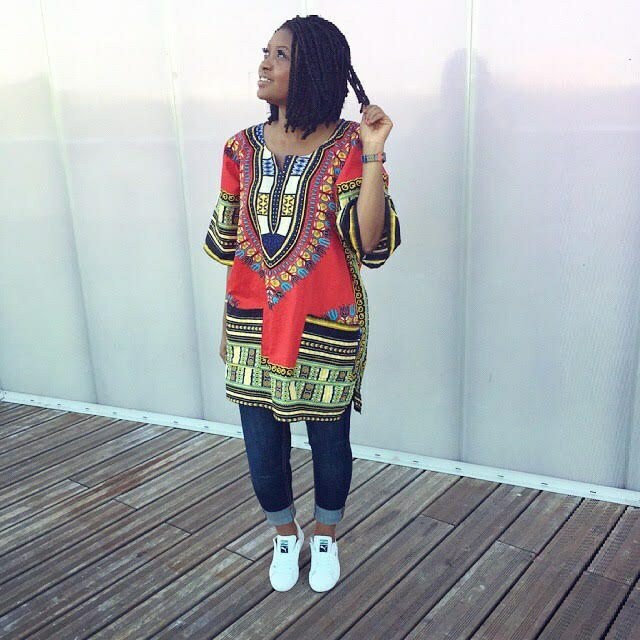 Check out some other dashiki-inspired looks below!